Frightening statistics show that currently only 1 out of 10 parents would have the skills and the confidence to help their own child in a medical emergency. 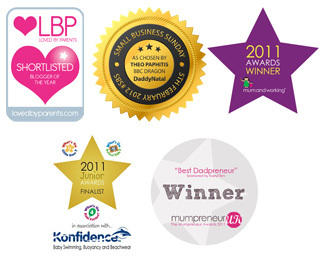 BabyNatal wants to change those statistics with friendly, easy to access and relevant first aid training. Our First Aid courses and teachers are fully accredited by the Association of First Aiders, the UK’s largest association supporting over 2,000 first aiders, first aid trainers and first aid training providers. • Incident Management – How to plan for and deal with a first aid emergency. • Choking – what to do when an infant chokes. • Meningitis and temp control including febrile convulsions (fitting)- how to recognise the signs of meningitis and fitting and how to treat a high temperature. • Burns – 90% of all hospital admissions involving young children are due to accidents with hot drinks. You will teach the basics of how to treat a burn / scald. Our workshops are infant/child specific & practical and give parents the skills to know the difference between normal everyday complaints and real life-threatening situations. You will leave our workshop with the confidence of knowing how to help your child in a first aid emergency until medical attention can be reached. Your course fee also includes handouts on crucial key learning points such as CPR and symptoms of meningitis. Our BabyNatal First Aid Workshops are now available in Airedale, Watford, Stevenage, Kettering, Warrington, Otley & North Leeds, Worthing, Salisbury, Bristol, Great Yarmouth and Lowestoft.